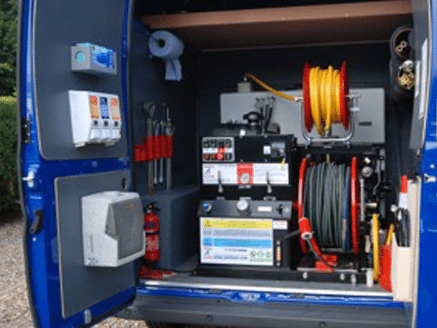 Smithy’s Drains provide professional drain services in Essex, and pride ourselves on our capability to provide a broad range of services to meet the demands of our customers requirements for homeowners, landlords, commercial business and public authorities. When you turn the tap to wash the dishes or turn on the dishwasher, do you ever think where your water goes to? Studies have found that many households don’t know where their water comes from or goes to. On an average household, one family can use in excess of 400 litres a day, which consists of a matter of waste. Drains consist of a number of water pipes, soil pipes which are connected to an outside drain leading to the main sewer which provide treated water and take away grey water. At Smithy’s drains it is our job to serve the homes and land of Essex to oversee blocked drains which if maintained correctly, can extend the life of the drain and its pipework. Depending how blocked your drain is, depends on the method Smithy’s will carry out. Rest assured, Smithy’s are expert drain engineers covering over 100 locations in Essex. Do you need drain repair services in Essex? Not only does you drains deal with waste from your household, but debris from gutters, gardens and silt. High pressure drain jetting can clear the drains and is a reliable and cost-effective method in removing blockages fast. Smithy’s Drain Services offer regular drain maintenance to private homes and businesses in Essex. Having the drains cleaned more often can prevent problems from occurring in the future. By taking this approach, you can save costs in the long-term. Surface water is grey water that will not drain away from the property. This can happen for a number of reasons. Depending where the surface water is occurring, heavy rain can flood a drain as well as accumulating debris that has made its way into the drain and gutters. When drains are becoming blocked and the cause isn’t clear, a drain engineer from Smithy’s Drains will use the latest CCTV technology to diagnose the problem. After placing a specialised camera down the drain, through inspection Smithy’s will carry out the necessary procedure to resolve the issue. This kind of drain problem is caused due hard water areas. Hard water is formed when water filtrates through minerals of calcium and magnesium-containing minerals found in limestone, chalk and dolomite. Due to the quality of the water that passes through the drainage system, scale can build up on the inside of the pipes. By de-scaling them, you can avoid the chances of blockages that can occur. when drains are blocked because of tree roots, removing the roots from the drains is the first method of control to allow the water to pass. The alternative method to jet cleaning drains, Acting as a bore or drill, this method of unblocking drains is effective in the causes of roots of plants and trees that make their way to water resulting in cracks and blockages to drains. With electro-mechanical drain cleaning most blockages can be dealt with effectively. Smithy’s Drains offer a 24 hour emergency call out service, which include: High pressure drain jetting, Drain de-scaling, CCTV drain surveys. Smithy’s Drains are proud to offer FREE estimates to commercial & domestic clients and are 100% accurate when producing CCTV drain surveying reports and estimates. Smithy’s drains are based in Essex, but are also available for drain repair services in over 100 areas of Essex. To find out if Smithy’s can assist your drain problem in your area, visit areas we cover page. If you are a commercial business and wish to request a service from Smithy’s Drains, including Tanker Cleaning Services, Service Contracts and Waste Disposal, send an enquiry or Tweet us and we will call you. Telephone Number: 0800 195 2456.